At Augustana, students work, play, study, create, research, travel — and succeed. We offer words of thanks for the loyalty and support shown by Augustana's alumni and friends during the 2015 fiscal year. Your engagement with the college makes a world of difference for our students, and on their behalf, we thank you! Thousands of donors made a huge impact by raising $16,202,744 in total gifts to all areas of the college, proving once again what we can do when we all join together. This includes: $2,176,787 through the Augustana Fund and $6,693,324 from alumni and friends in The Presidents Society. Together, we helped support extraordinary programs, outstanding teaching and transformative learning experiences, the integration of which enhances Augustana's reputation as one of America's leading liberal arts colleges. Gifts to Augustana support students' daily living and learning, outstanding faculty, international and domestic study opportunities, technology and equipment, library enhancements and learning resources, and many other day-to-day operations at Augustana. Your gifts bring this mission alive in the hearts and minds of our students. As graduates, Augustana alumni embody this mission in the communities and institutions where they live and serve. If you are a member of the alumni body, please consider that increased participation statistics figure prominently in the way Augustana is evaluated by corporate and foundation donors. By participating in the cycle of regular contributions, donors show their support for Augustana. Thank you for your generosity. When you are ready to make a gift, we can assist you to give online, through the mail, or over the phone. 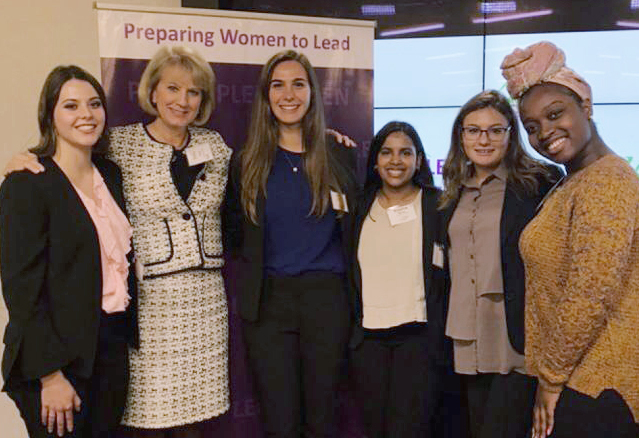 Thanks to Shelby Olson ’79, five students got the chance to be Augustana's first attendees at a national three-day seminar, "Preparing Women to Lead." It was an eye-opener for all, and for one student, at least, a career-changer. 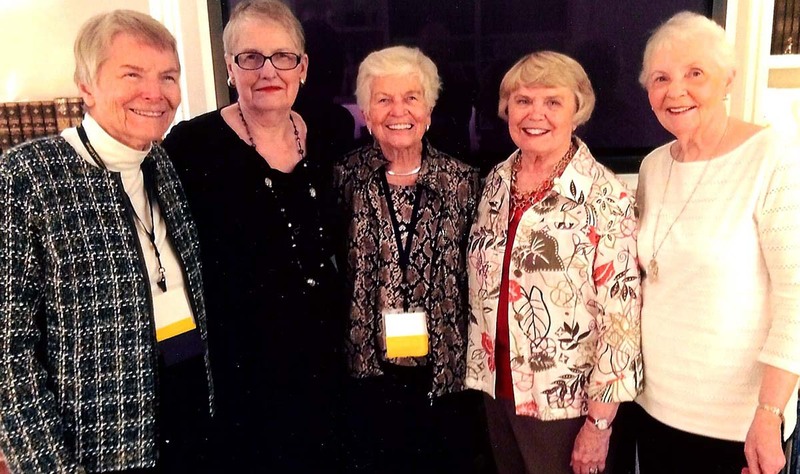 Five 1958 alumnae of Chi Omega Gamma have kept their friendship alive for 60 years, in part via a round-robin letter in circulation all these years. 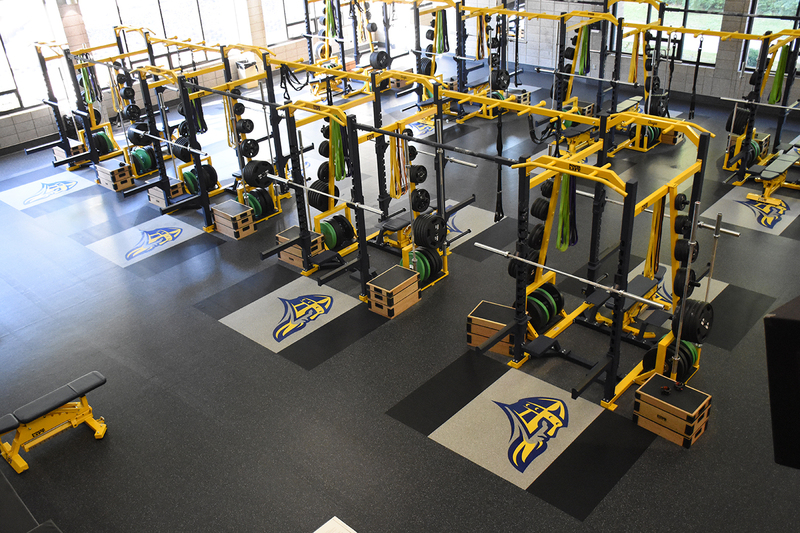 The strength room in the Carver Center at Augustana College is now state-of-the-art thanks to donations made to upgrade the space honoring former football coach Ben Newcomb.